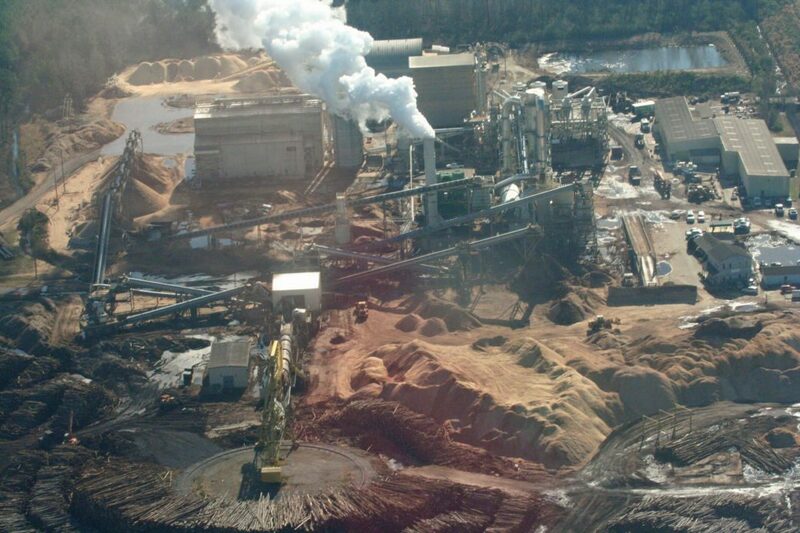 “Are forests the new coal?” is a new briefing from the Environmental Paper Network’s Biomass Working Group. 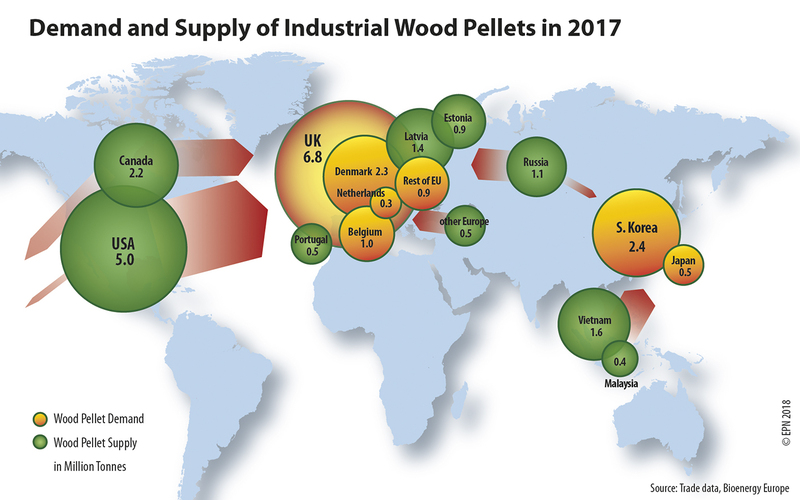 The threat map report shows that the biomass industry is set to increase by 250% in the next decade – threatening both the fight against climate change and forests globally. 1. Global supply of and demand for forest biomass is predicted to increase more than 250% over the next decade, having already doubled in the last ten years. 2. Biomass energy, predominantly forest biomass, dominates ‘renewable’ energy production, dwarfing wind and solar and undermining their prospects by diverting subsidies that should be applied to such genuinely low emissions technologies. 3. Countries in Asia are making the same mistakes that European countries made in encouraging large scale biomass burning for energy production. Japan and South Korea are now heading down the same wrong road that faulty European Union policies enabled, namely subsidising power generation from forest biomass and failing to count smokestack carbon emissions resulting from wood burning. 4. 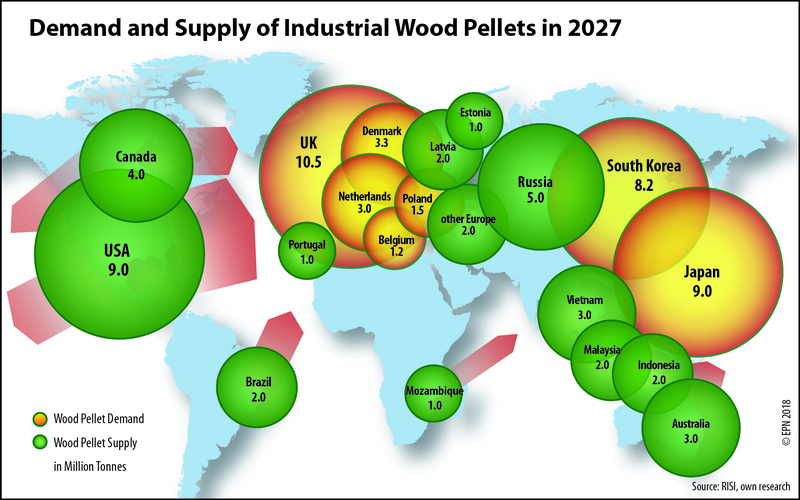 The majority of feedstock for the increasing pellet market will be supplied directly from forests, inevitably entrenching and expanding logging at higher rates over greater areas. This is in stark contrast to findings in the latest Intergovernmental Panel on Climate Change Special Report regarding the urgency of protecting and expanding forests in the near term as critical for avoiding the worst impacts of climate change. 5. Growth in the industry is likely to occur by expanding supply from tropical, temperate and boreal forests in developing and developed countries, thereby posing an escalating global threat to natural forest ecosystems including those that are mega-diverse or carbon rich. The briefing is published by the Forest, Climate and Biomass Working Group of the Environmental Paper Network. The Threat Map report should be read together with ‘The Biomass Delusion”, a position statement by more than 130 non-government organisations released last month.